And a question: What more would you like to know? In 2012, the CDC and the National Center for Health administered the first wave of the National Study of Long-Term Care Providers. The data include information on supply, organization, staffing, and services provided in adult day services centers, hospice, nursing homes, and residential care communities as well as demographics, health, and functional limitations of users. Most of the numbers in this post come from the 2013 report of this data. Long-term care covers a broad range of services. It can be health care, personal care (such as help with bathing or dressing), and supportive services (such as counseling or case management). These services can be provided in the home, in the community, or in a residential setting and they can include paid services as well as unpaid care from family or friends. Most long-term care services are used by adults aged 65 and over. Over two-thirds of us who reach age 65 will probably need some kind of long-term care services during our lifetime. In 2012, about 58,500 paid and regulated long-term care services providers served about 8 million people in the United States. The majority of providers were residential care communities (such as assisted living), nursing homes, or home health agencies. The vast majority of these are located in metropolitan areas and most long-term care providers in the U.S. are for-profit. Long-term care providers employ registered nurses, licensed practical or vocational nurses, aides (ranging from certified nursing assistants and home health aides to medication technicians), and social workers. Most hospices employed at least one social worker. Three-quarters of nursing homes employed a social worker and just under half of adult day services centers and home health agencies had social workers on staff. Only 14% of residential care communities employed a social worker. Social workers, however, spend the least amount of time with clients compared to other professionals. Aides spend the most amount of time. Most providers do provide social work services, at least by referral if not directly. Other services include mental health or counseling services, therapeutic services, and skilled nursing or other nursing services. Nursing homes and residential care communities have pharmacy services as well as hospice services of their own. 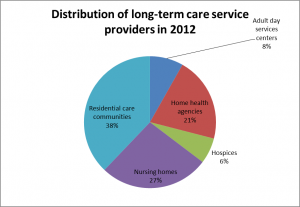 On any given day in 2012, the majority of people using long-term care were receiving home health care. Most users of long-term care are over 65. Residential care communities, nursing homes, and hospices serve more people who are 85 and older than home health or adult day services centers. Most users are women and non-Hispanic White. Adult day services centers are the most diverse with 47.3% non-Hispanic White, 20.2% Hispanic, 16.8% non-Hispanic Black, and 15.7% non-Hispanic other. Just under half of nursing home residents have Alzheimer’s disease or depression. 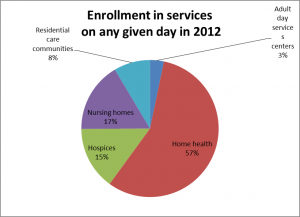 Alzheimer’s was least prevalent in home health (30.1%) and adult day services centers (31.9%). Depression was least prevalent in hospice (22.2%), adult day services centers (23.5%), and residential care communities (24.8%). The majority of home health patients and residents in nursing homes need help with activities of daily living such as bathing, dressing, toileting, and eating, but adult day service centers and residential care communities have clients who need these services as well. This is just a snapshot to give you a lay of the land. Let me know what other things you’d like to know about long-term care.
. . . to universal health care coverage. In 2015, the Affordable Care Act provided health coverage for over 11 million people who were previously uninsured. Despite this apparent success, the Affordable Care Act’s future is uncertain. Whether or not opponents will truly be able to overturn the ACA at some future point, it’s clear that they will continue to put up roadblocks wherever possible. Bernie Sanders would like to move from the ACA to a single-payer system like Medicare for everyone. I love lots of things about Bernie Sanders, but this makes me cringe. Not because I wouldn’t love to see a single-payer system in the U.S. some day – I would – but because it is so clearly unrealistic right now. But why? Why did we end up with such massive health care inequalities while other industrialized, democratic countries have universal coverage? What might have been different in the U.S. today if a different thread or two had been pulled? A recent article by Dr. Jesse Bump from the Harvard School of Public Health provides some insight. He looks at the historical context for the development of universal health care in Germany and the UK with the US and its continuing resistance to universal health care as a comparison case. Finland is my ongoing point of comparison and is frequently held up as the poster child for education, family leave policies, and other social programs. We can learn a lot from Finland. But it’s a relatively young country in its current configuration (Finland declared independence from the Soviet Union in 1917). Germany and the UK are more similar to the U.S. historically and culturally. Each country faced many of the same forces during these times when they moved to universal health care or it was up for discussion – industrialization, the growing economic importance of industrial workers, and the significance of unions. Social upheaval is often a window of opportunity for big change. In Germany and the UK the result was universal health care, but not in the US. It wasn’t because the mechanisms for financing and delivering care were different. Those systems came before decisions about health care expansion and remained basically unchanged after the move to universal health care in Germany and the UK and were were adapted rather than refashioned. It wasn’t because it was more politicized in the US. In fact, discussions around universal health care were highly political in all three countries. That’s not surprising because it involved issues of rights to benefits, responsibilities to pay, and redistributing resources. Nope. The bottom line was people. The governments in Germany and the UK expanded social protections because the citizens demanded it. In the US, workers were suspicious of compulsory health coverage and didn’t want to pay for services they weren’t going to use. So instead of universal health care there were incremental expansions to Medicare and Medicaid in the 1960s, other attempts at change along the way, and the ACA in 2010. In this light, it seems that the path in the US toward greater social protection is slower, but maybe not completely derailed. And if we, as the citizens want further expansion, we need to make more noise and vote accordingly. I’d love to hear your experiences with the ACA or other health care coverage and access experiences from the US and around the world. 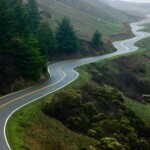 That’s bad and good experiences – really, I mean it! What do you think people should know? What questions do you have? What would you like to learn more about? I’ve been thinking a lot about place and space and how that shapes a lot about us, both individually and collectively. When we host students and colleagues from Finland they are struck by how big things are here – from buildings to cars to coffee mugs. It makes sense I guess that given how much space we have compared to many European countries we would make things bigger. At the same time, innovative Finnish design makes sense too. If you have less space, you have more reason to design things that are efficient and functional and if you can make them beautiful at the same time all the better. There are more insidious effects of place and space too as suggested in a recent article by Stone and colleagues on place as a predictor of health insurance coverage. This article focuses on the county level in the United States. That’s where a lot of care for the uninsured and underinsured takes place, but is not as often a focus in research as other levels of geography. A lot of variability in health insurance coverage within counties (ranging from 3% to 53%) as well as between them. Lower rates of uninsured in metropolitan areas and counties with more people who have a high school education or more. More people without insurance in counties with higher unemployment, more poverty, in metropolitan areas with more Blacks and Hispanics, and in counties where a higher proportion of votes were cast for Republican presidential candidates in the 1008 election. About that Republican votes thing . . . I keep coming up against ideology and how fundamental differences in our beliefs about the role of government versus market forces in providing fundamental services to our citizens are roadblocks that seem insurmountable (regardless of which side of the debate you fall on). Some of us see things like health care and a broad social safety net as a right, something that as a people we should make sure everybody has access to, and that broad access ultimately benefits us all. Universal insurance coverage and other re-distributive policies make sense from this perspective and are not antithetical to having a strong democratic capitalistic society. Others of us see those who can’t afford these things as some how lacking in skills, drive, morals, gumption, pick the word of your choice. The market will provide to those willing to do the work required. And so of course, investing less in public services makes sense. I also realize that there are shades of purple in these arguments. But still. 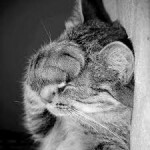 I am quite sure there are plenty of us on both sides of the debate who regularly engage in a good face palm in utter amazement that the other side can’t see the plain facts staring them right in the face. (And back we go to that Republican vote thing). Reading this article introduced me to literature on “critical social geography” that I hadn’t come across before or at least not in quite this way. Social geography looks at geographical differences in structure that foster inequities in resources and marginalize populations. Think uneven economic development so that already struggling neighborhoods don’t have any grocery stores. Or public transportation just conveniently not going from here (where there are people who need jobs and are willing to work) to there (where there are employers hiring). I’ll keep mulling over this place and space stuff, but in the meantime, if you have thoughts on the subject, let me know.